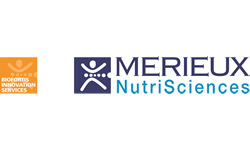 Biofortis, a subsidiary of Mérieux NutriSciences, part of the Mérieux Group, is a leading global research organization serving innovation in food, nutrition and health. With locations in Europe & North America, Biofortis offers complementary, differentiating and innovative services including pre-clinical and clinical assessments, microbiota-related research, sensory evaluation and consumer studies. Our main activity is to support our clients in their quest for innovative market leading products by generating scientific evidence and consumer insights. Biofortis partners with a wide range of customer segments such as nutrition, food, ingredient, pharmaceutical, biopharmaceutical, biotechnology, medical device, wellness, and beauty healthcare-related industries. Biofortis, as a leading Contract Research Organization, is specialized in designing and running pre-clinical and clinical research projects in several health areas: cardiovascular, metabolism, immunity, ageing, cognitive function, nutrition and especially in gut health, with a unique microbiome analytical service integrated in our central lab. For several years, Biofortis has been supporting large, medium, and small companies mainly in the food, cosmetics and pharmaceutical industries, both nationally and internationally. Biofortis combines an experienced and GCP-trained staff with a strong network of scientists and collaboration with key opinion leaders of international reputation. Data management, biostatistics and bioinformatics.